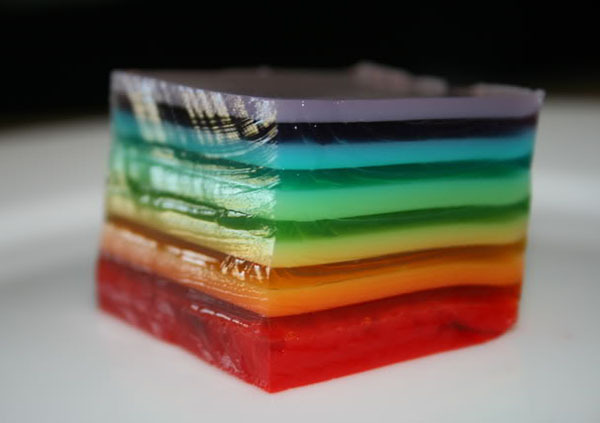 Wibble wobble party on a plate – layered jelly! Kids adore jelly, making it classic party fare. Now Babyologists, hold onto your party hats for a masterpiece that puts a twist on the traditional favourite. We all loved the majestic layered rainbow coloured birthday cake when it featured on Babyology last year and now I’ve discovered its perfect partner for the party dessert table. 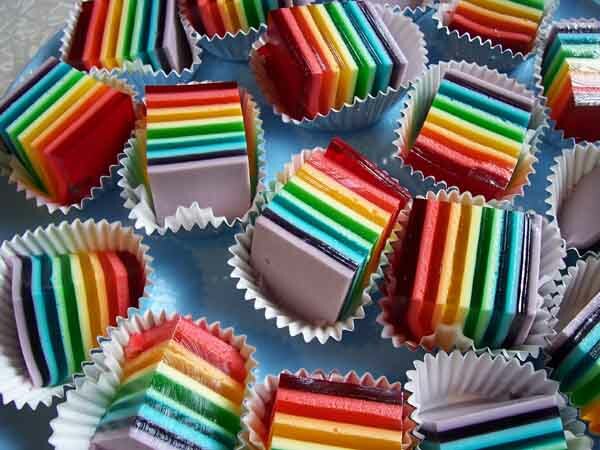 Get set for layered jelly – layer upon layer of colour in any combination you like. Now I admit I loved this the second I saw it, but then I love jelly as much as my kids do, if not more. Some of you might think I’m a little crazy in my enthusiasm, but I’m convinced it will be an absolute hit at a birthday party. I’ll definitely be having a go at this myself for my four-year-old’s upcoming birthday. I’m hoping the kids will be just as thrilled with my efforts. I think Genny Hobart’s party presentation is perfect – don’t these gorgeous jelly parcels just beg to be eaten? If you dare to have a go, you can find the full set of instructions at Food And Beverage Recipes blog. Let us know how you go!